Question: Where does one go to reset tripped outlets? All of our electrical outlets have lost power, but everything else is fine. This is for a 26ft TrailCruiser by TrailLite. 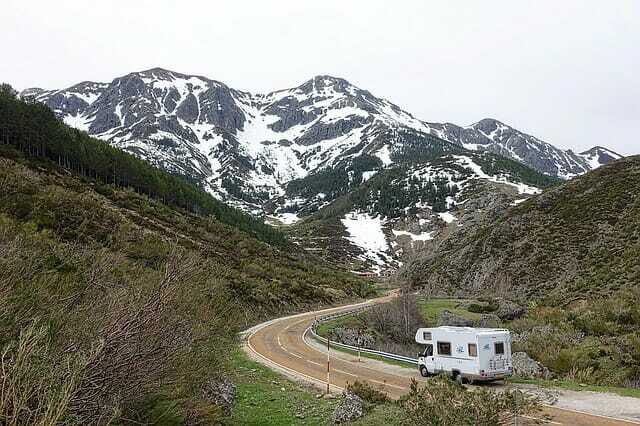 Answer: Without knowing the particulars on how your RV was setup or modified by the dealer and or former owner, it is difficult to provide a precise answer. But we can offer a few thoughts. First, your rig may have a panel of circuit breakers and/or a GFCI reset button. So look for that and consult any specifications or manuals you have for your RV. If you cannot reset a breaker or switch, then you may need to trace the electrical circuit(s) that are giving you trouble. However, this must be done with caution and armed with all the tools at your disposal. If it were our rig, we would definitely consult the owner’s manual and wiring schematic specific to our RV. If you do not have an owner’s manual, contacting the manufacturer may shed some light on the problem. If contacting the manufacturer does not help then try asking the RV dealer or the former owner from whom you bought the rig. If that is not possible then the only option is to physically trace the wiring. In tracing wiring, the objective is to identify any circuit breakers, a tripped GFCI outlet, or a loose wire. To do this you will need a continuity tester/test light (such as a neon tester, electrostatic wand, volt ohmmeter, three-prong outlet tester) and a lot of confidence on working with a live electrical circuit. You will have to identify the power source for the circuit to determine if you have power to the circuit. Once you have determined that you do have power at the source then you can move on to the circuit itself. Test for power at the breaker then follow the circuit to each outlet looking for a break in the circuit or a bad outlet. If any of these terms seem foreign to you, then please do not attempt to do this. Instead, take the RV to a repair center. This is not an uncommon issue…people would think that the company who made their coach would try and make things simple – but they do not. As to your question, there is for the most part two locations to look for any power issues: #1) the first location anyone should look is the fuse box, it could be a tripped breaker if 120 volts and a blown fuse if 12 volt is the issue, then #2) this is the one most if not all miss, THE GFI OUTLET. You have to look at all the gfi outlets as the company most likely has it set up so that when a gfi trips in a kitchen it will kill the outlets in the lower part of the coach, and if in the bath it could kill all the outlets in the upper half of the coach. So as you see, if a gfi issue – it is not just that outlet. Also, for most gfi outlets, it is difficult to see if it tripped – you need to push the reset button to know for sure. So I hope this helps you and others as this is a common issues as I stated above. Question: The wall outlets in the kitchen of our Canyon Trail 5th wheel just quit working. We checked all fuses, and they are fine. What else could be the problem? Answer: It could be a number of things that is casuing the problem. We have several pages on our site which have addressed similar questions, so we suggest these as resources for troubleshooting the problem. You could also search our site for terms like “power”, “electricity” and so forth. Your easiest solution is to replace it. Like breakers, GFCI’s have a finite life span. If it has not been replaced, then based on the age of the unit I’d look to replace it. Another thought is that the wiring could be loose and tightening the connections might solve your problem, but my opinion is that it has reached its useful lifespan. Have 1998 Safari Sahara, the gfi plug in kitchen losses power but does not trip breaker on plug or throw any breakers, and comes back on after 10 or 15 minutes. Any ideas?